Sort of exciting, I suppose, that this is technically the first week of my marathon training. It's not that strenuous, as it consists of just 3 30 minute runs, and I already missed the first day because I was out of town. I made up that run today, though. Woo hoo! As of today I am officially back to being on my normal schedule. The girls are back in school, the holidays are over, we are finally done with the illness that swept through our the family, and I have completed a short, but exhausting, road trip with a friend. It feels like it's been ages since I was on any sort of decent schedule for exercising, eating, sleeping, you name it. 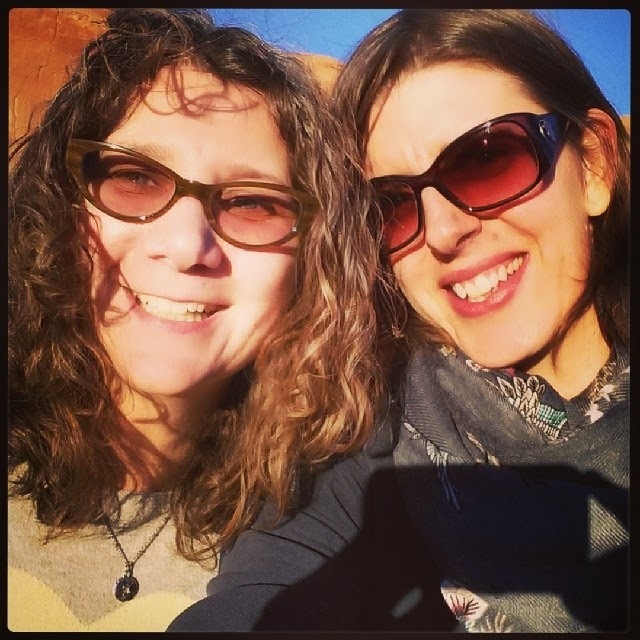 Last Sunday I took a very early flight to Albuquerque and was picked up at the airport by my best friend. She was moving from Texas to Oregon (but was picking me up in Albuquerque because she was there with family). We literally began the road trip right from the airport, driving about seven hours to Kingman, AZ the first day, then driving nine hours to Sacramento on Monday, and finally getting to our destination in Oregon by mid-afternoon on Tuesday. 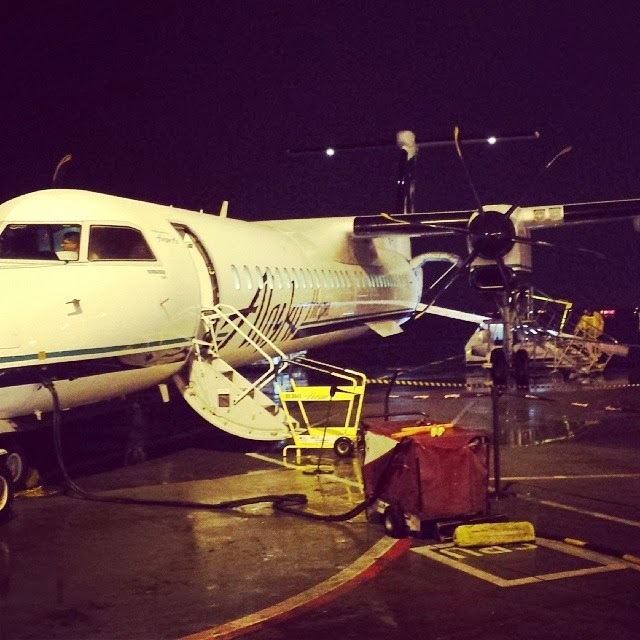 I boarded a flight home at 6:00 that night and walked in to the house at about 8:30 pm, completely exhausted. The idea of a road trip is fun, in theory, but we just drove and drove, a lot of it up boring ol' I-5, with nothing to look at and only stopping for gas, food and potty breaks. We did stay in decent hotels each night, complete with breakfast buffets (my favorite! ), so luckily we weren't driving through the night. Of course, the bright side was getting to hang with my friend and chat and catch up and talk about all of the changes life brings as we get older. Oh, and also just having hours to sit and chill and stare out the window of a car without rushing around or dealing with anything. 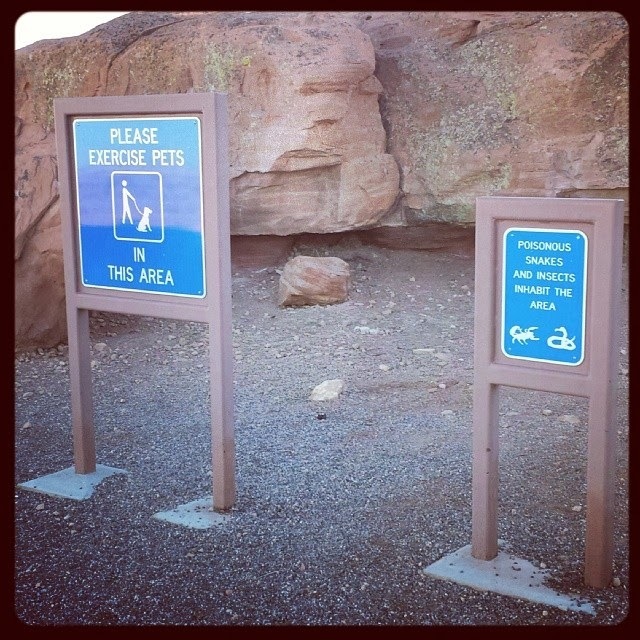 At the first rest stop, just west of Flagstaff, AZ. 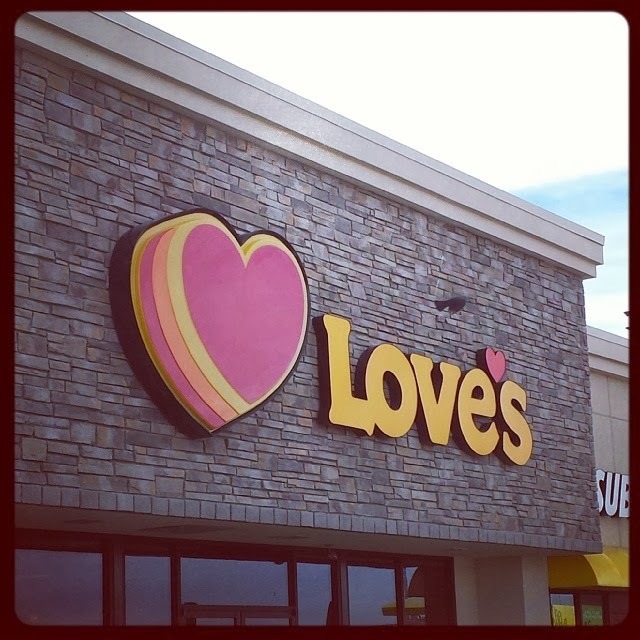 I love that these truck stops are called Love's. 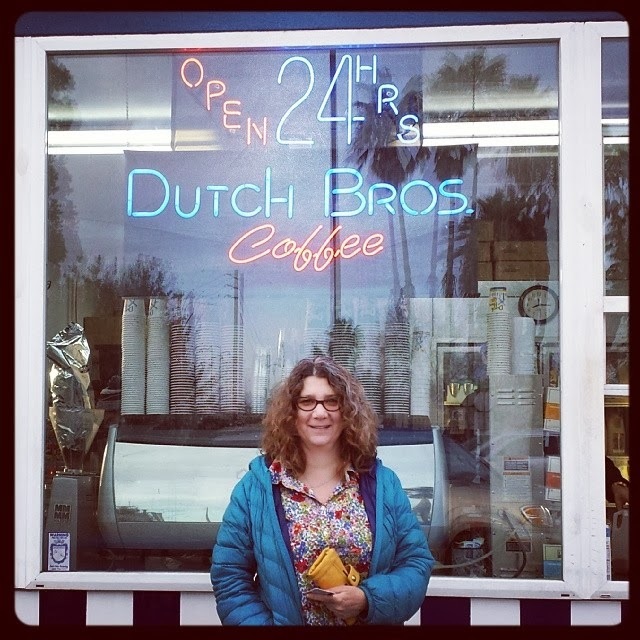 We discovered Dutch Brothers coffee while in Sacramento and are in love! flight was so short--we were only in the air for 30 minutes! Being home meant I had about a million things to knock off my to-do list, but I mostly enjoy all of that stuff, so it was all good. Running was the one thing I put off, though. I put on my running clothes first thing in the morning, but didn't actually run until just after mid-afternoon. It was raining most of the day and I just kept trying to find reasons to not get out there. Like usual, however, once I forced myself out the door the run was wonderful, rain and all. I timed it just right so that I literally ran up to my girls' bus stop right as they were being dropped off. Whew! Running, even my 4:1 run:walk is hard right now. Dang. The other really exciting thing I did today was cast my net to find some Ragnar Northwest Passage team mates. I decided to put together a team this year-- for no other reason than there were a few people I really wanted to run with, and the only way I can see to make that happen was to make my own team! I am hoping and praying I find enough people to round out a full team. We shall see! Just over six months out now! That was really sweet of you to do that road trip with her. I'm glad you had a good time and also glad things are back to normal for you. Normal is SO good, isn't it?? :) So do you walk for 4 minutes, run for one? I should try that. I did a kettlebell work out for the first time in a loooooong time the other day and could not even use my 10lb kettlebell. Had to grab a 5lb weight. :) oh well. here we go!! Oh shoot! I totally wrote that wrong. It is supposed to be run:walk. I just fixed it! But if you were starting back to running with no base of exercise to start with, a 4:1 WALK:RUN would be really do-able! Your KB workout sounds great, too. I really hate that feeling of being weaker because of taking too much time off of exercising. UGH. I am sure you will get back to where you were! Keep working at it!